- Absolute Charm: Housed in a historic home, this spot is perfect for you and your girls and seconds from the famous strip for shopping in Fredericksburg. 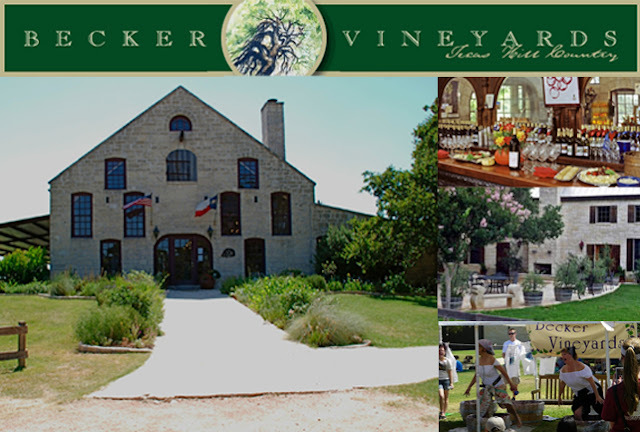 Becker has a gorgeous facility for tastings, ceremonies, and receptions. We participated in their oh-so-much-fun Grape Stomp earlier this month where they included a "Lucy & the Italian" costume contest. (bottom right) They have a generous selection of quality wines at great prices that are available in most Texas stores. 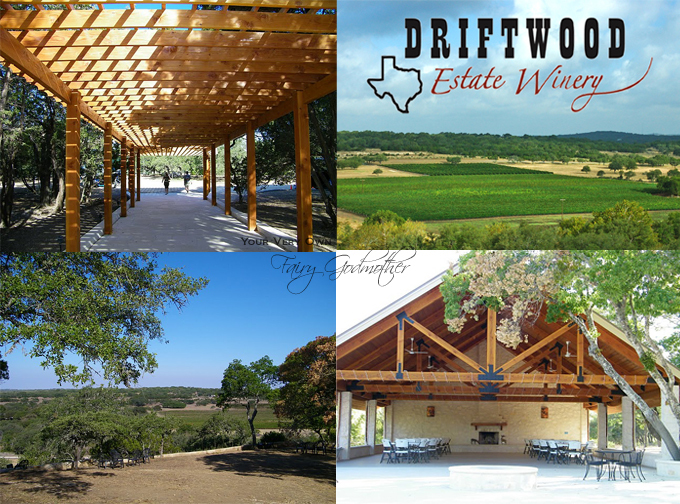 - Chisholm Trail Winery: A fabulous spot to stop with your girls, but don't plan to have your wedding here ... they don't host private events! Images from our tour of the winery in September 2011. A new pergola graces your entrance, and the pavilion with a fireplace and fire pit make this outdoor venue very cozy. - Grape Creek Vineyards: Another spot to stop if your clinking your glass with your girls, but no private events here. - McReynolds Winery: A maginificent place for a small wedding beneath grand oak trees and the Texas sunset. 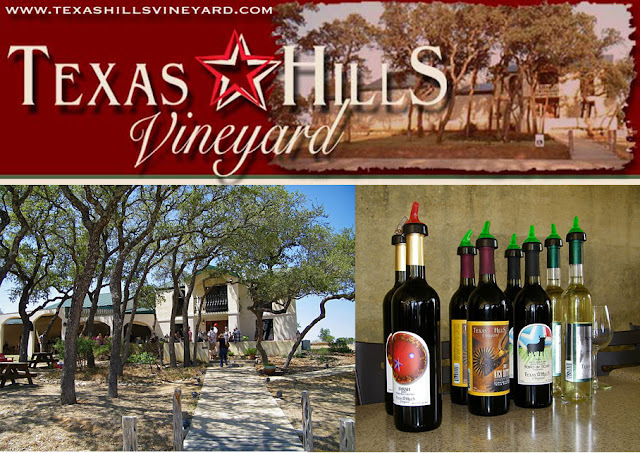 - Texas Hills Vineyard: Close to Johnson City and earth-friendly, this vineyard comes with a lot of charm and personality. 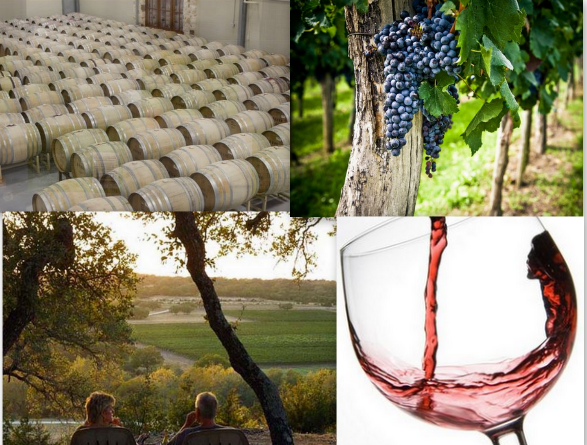 These images are also from our September 2011 winery tours. The tasting room has had a facelift! The exterior patio with arches look fabulous. - Cynthia's Manhattan Limo: If you're thinking limo-rides for the wedding or bachelorette, Cynthia's is our top pick. - Transportation Consultants: If you need ANYTHING other than a sedan or limo, then Bill Talley at Transportation Consultants is your guy.